Neuromuscular dentistry is the 35 year old proven science of your bite (or occlusion). It takes into consideration not only your teeth, but also their complex functional relationship with the temporomandibular joint (TMJ) and most importantly, your jaw muscles. These three components (teeth, TMJ, and muscles) form your actual “programmed” or habitual bite. Neuromuscular dentistry is non-surgical treatment. Even though your teeth may fit together and your bite appears somewhat “normal”, it does not necessary mean that your jaw joint and muscles that control the actual position of your lower jaw are comfortable in that position. This may result in a misaligned or bad bite in which your muscles and joints must accommodate and constantly work harder to get your teeth together. This often leads to muscles that are overworked when they should be relaxed. This can lead to various painful conditions. The goal of NMD is to achieve a natural bite which is based upon the optimal relationship between the skull and lower jaw (mandible). This goal is achieved by relaxing the muscles that control the lower jaw position in order to establish a true physiological rest position in which treatment considerations are based on. WHY DO WE RELAX THE MUSCLES OF THE FACE AND NECK? Muscles of the face and neck are most often “programmed” to control your head and lower jaw position in a way that allows your teeth to come together. Often this bite position is less than ideal, resulting in headaches, neck pain, shoulder pain, clenching of your teeth and grinding. It is extremely difficult for someone to voluntarily overcome this programmed position of their head and lower jaw. As a result, TENS therapy may be used to relax your muscles. TENS is the abbreviation for “trans-cutaneous electrical nerve stimulation.” It is through this gentle electrical muscle stimulation that allows us to relax your masticatory (biting) muscles and cervical / upper thoracic muscles simultaneously. This technology is proven to be very safe and is not painful. In fact, many of our patients actually enjoy TENS therapy. The device we use is battery operated and delivers mild electrical stimulation though adhesive patches that are attached to your skin. The patches are placed over the nerves that control the specific muscle groups which are associated with your bite. 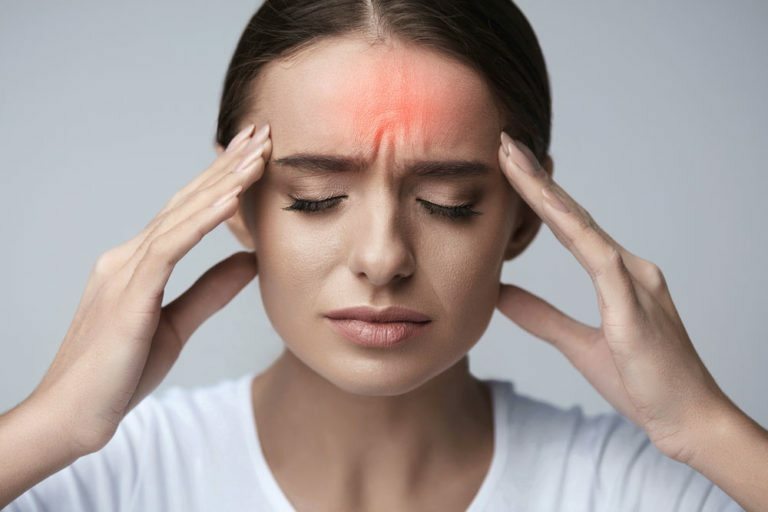 After about 60 minutes of TENS therapy, your muscles will overcome their “programmed” bite and we will then be able to determine and accurately record the most relaxed and natural position for your jaw. It is from this position that a neuromuscular dentist (Dr. Brian Davidson) can then determine your TMD /TMJ specific treatment recommendations based on an ideal physiological rest position. HOW CAN WE VERIFY THAT MY NEW BITE IS OPTIMAL? 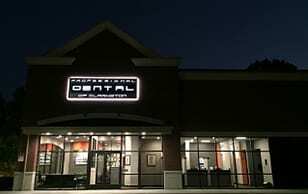 Professional Dental of Clarkston has the latest computer technology software available which will allow us to analyze objective and scientific data to verify that the comprehensive evaluation of your bite is optimal. This may be accomplished by using a combination of 3 different methods which will give us a complete analysis of the function (or dysfunction) of the masticatory (muscle) system. 1. 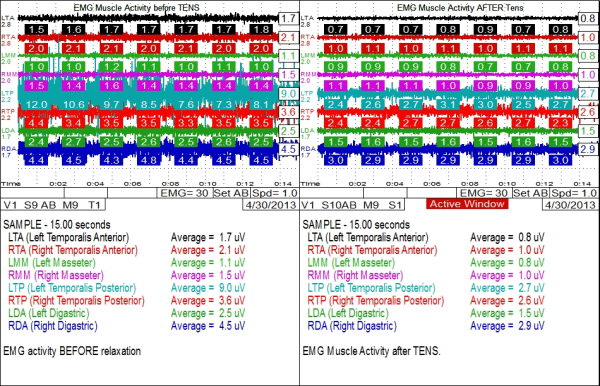 SURFACE ELECTROMYOGRAPHY (sEMG’s): This evaluation allows us to very accurately measure and record your muscle activity and function by recording tiny signals that are transmitted through your skin. This data is gathered through electrodes, similar to a heart EKG report. 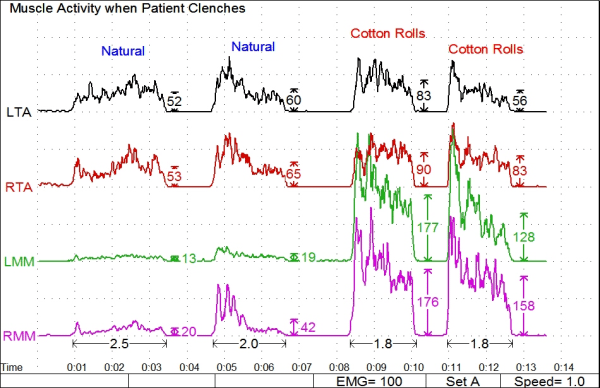 The data is then amplified and sent in real time to a computer monitor where it is displayed for Dr. Davidson. Traditional evaluations using finger palpation of muscles can be very subjective, and many times provide no objective data. 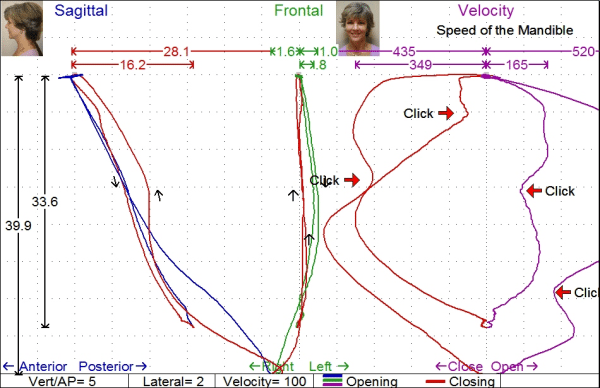 Surface EMG’s allows us to gather and record objective data concerning different muscle groups of the head and neck area. This specialized information is proven to be an invaluable aid in TMD / TMJ diagnosis and education for our patients. 2. 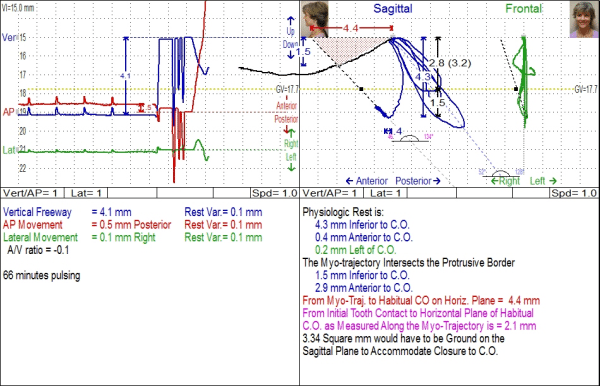 JAW TRACKING (CMS): This modality is used to precisely identify the relationship of the lower jaw to your skull. We will study the lower jaw’s movements by recording its path of such things as opening, closing, clenching, grinding, swallowing, and at rest. We also measure the velocity of the lower jaw which may be helpful in detecting such things as a clicking or “pop” in your joint. We will utilize a tiny magnet affixed to your lower front teeth in order to gather this data. Sensors will then track the path of the mandible in three dimensions by sensing magnetic field changes. All these movements are then translated in real time to a computer monitor. 3. 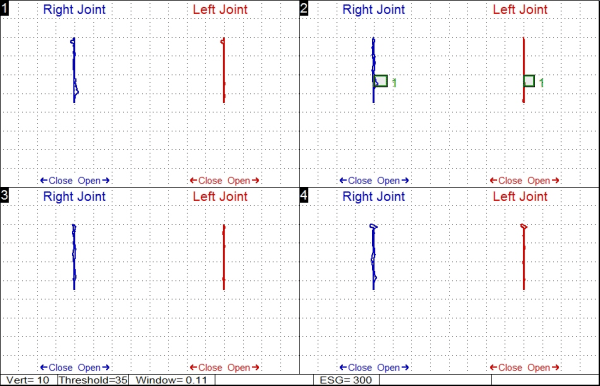 JOINT SOUND RECORDING OR ELECTROSONOGRAPHY (ESG): This is commonly called “sonography” or “joint vibration analysis”. We use a computer based vibtration sensitve transducer technology that quickly and non-invasively records joint sounds and vibrations from the TMJ. 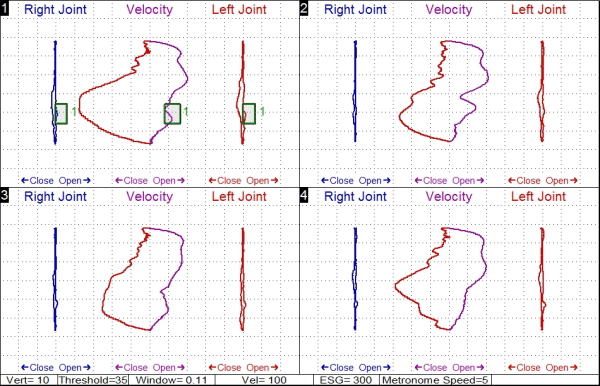 This allows us to capture additional valuable information about your joints function and health. CALL US TODAY TO SCHEDULE A “NEUROMUSCULAR ASSESSMENT” WITH DR. BRIAN DAVIDSON TO LEARN MORE HOW NEUROMUSCULAR DENTISTRY CAN HELP TRANSFORM YOUR QUALITY OF LIFE! (248) 620-6200.